Further to our previous blog on scrub shooting, we wish to showcase several products that we sell which can enhance your shooting experience and bring you a degree of versatility that can be very useful in certain circumstances. 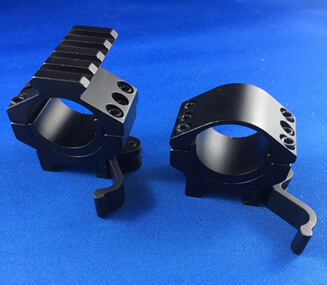 While most people use and prefer a good, solid, non-detachable mount for attaching a scope to their pride and joy, there is the possibility that a detachable mount may find its way into your box of tricks. 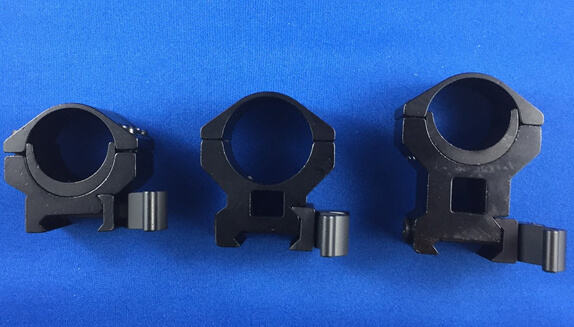 The history of quick detachable mounts (or, QD mounts, as they are known) go back in history as far as optical sights. For a long time, it was thought that due to the fragility and unreliability of optical sights due to mechanical failure, or something as simple as fogging in inclement weather, that there should be an option to remove a non-operational scope so that the iron sights provided on all rifles in those days, could be used, preventing a return to camp with an unusable outfit. The types of QD mounts are many and varied, from expensive claw mounts, swing mounts, and other such oddities. These days, very few rifles are fitted with iron sights and this can be attributed to the reliability of modern optics, with a nod to cost cutting by the factories. Why would you want to remove your scope I hear you ask? Several reasons come to mind. For a particular rifle, you may want the versatility of using a different scope to use in specific circumstances, where a normal variable scope doesn’t quite do the job. Also, you may want ready access to your iron sights for close, fast work, where a scope would be a hindrance. Or, perhaps replacing your normal scope with a red dot scope for close in work, and then replacing it with no loss of zero. I have heard of people running a target scope for load development and testing, then replacing it with their normal hunting scope before heading into the field. Removal of the scope when cleaning and maintaining your rifle makes this task somewhat easier. Also, if you use a hard case, two rifles can generally be fitted, reducing the package size. We provide three height options to suit whatever scope you wish to use. Our NRN series have 30mm rings, complete with 25mm ring reducers so that they will accommodate a large variety of scopes. They use a (adjustable) lever system for locking onto a Picatinny rail. The lever rotates through 180 degrees to lock the scope onto the rail. Check out our well priced QD mounts on our website. NRN490Q low, at $55.00 inc GST, NRN484Q medium at $57.20 inc GST, and our NRN480Q high mounts, at 59.40 inc GST are all available for purchase off the website, or at quality gunshops across the country.